Dr Leslie Cunning is a Family Physician who has dedicated his career to improving the quality of health care in rural communities. 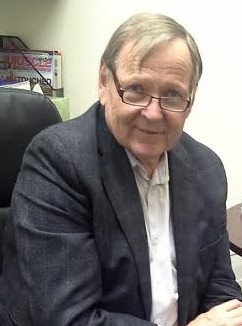 He received his medical degree from the University of Calgary in 1974 and completed his Family Practice residency at the University of Western Ontario. Before establishing practice in Black Diamond in 1976, he completed additional training in Calgary. Throughout his career he has been active with the Alberta Medical Association and the Section of Rural Medicine. He has served as the Medical Officer of Health in the Foothills Health Unit and was co-chair of Netcare at its inception. He has served as the medical lead for the Calgary Rural Primary Care Network and worked administratively with Alberta Health Care as the Interim Department Head in Rural Medicine. Dr Cunning has mentored medical students and residents in rural settings and in 2007, the University of Calgary named him as the first-ever Alumnus of Distinction for his outstanding contribution to rural medical education.